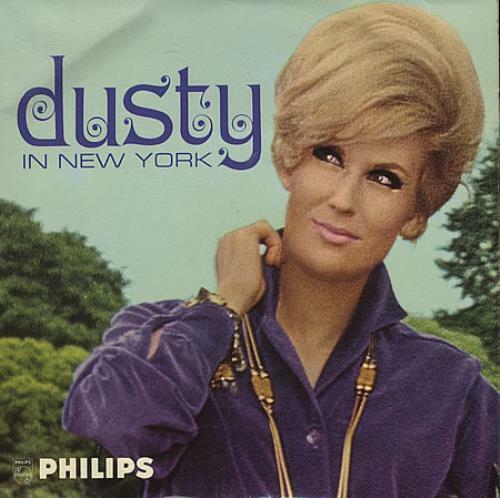 DUSTY SPRINGFIELD Dusty In New York (1965 UK 4-track MONO 7" vinyl EP with the original rough textured three-prong centre, including Live It Up, I Want Your Love Tonight, I Wanna Make You Happy & Now That You're My Baby. The front-laminated flipback picture sleeve shows a little shelfwear with some age yellowing to the unlaminated back, while apart from a few light surface scuffs, the vinyl appears in excellent condition BE12572). or visit our Dusty Springfield image gallery.